Everyone benefits from a safe and healthy workforce. Employee health checks are assessments that check in on an employee’s health in order to identify and mitigate physical or mental health risks. What are Employee Health Checks? An employee health check accounts for a range of check-ups that help identify potential risks to the health and wellbeing of your workforce. The benefits of consistent employee health checks are far-reaching, for both employees and employers. Your employees are your most valuable asset. Providing consistent health checks sends a clear sign to your employees that you value their wellness inside and outside of the workplace. Below we’ve outlined the many ways employee health checks can benefit the entire workforce. Increase team morale with on-site medicals and regular health checks that show your employees you see them as true team members. This care can go a long way in supporting company morale. We all know how fast sickness can spread through a workplace. Negativity and low morale can spread just as quickly. No one likes getting sick. And if one employee contracts an illness, they’ll be isolated from their team, who are trying to avoid sickness themselves. If other employees contract the same illness, they may resent their co-worker for “getting them sick,” which can cause division and drain morale. 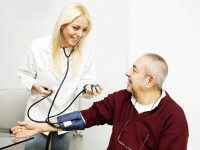 Employee health checks help support aging workforces. Like many countries, Australia has an aging workforce. Up to 15% of Australians are aged 65 and older, and as much as 13% of Australians participating in the workforce are over 65. As employees age, they are more at risk of illness and injury. 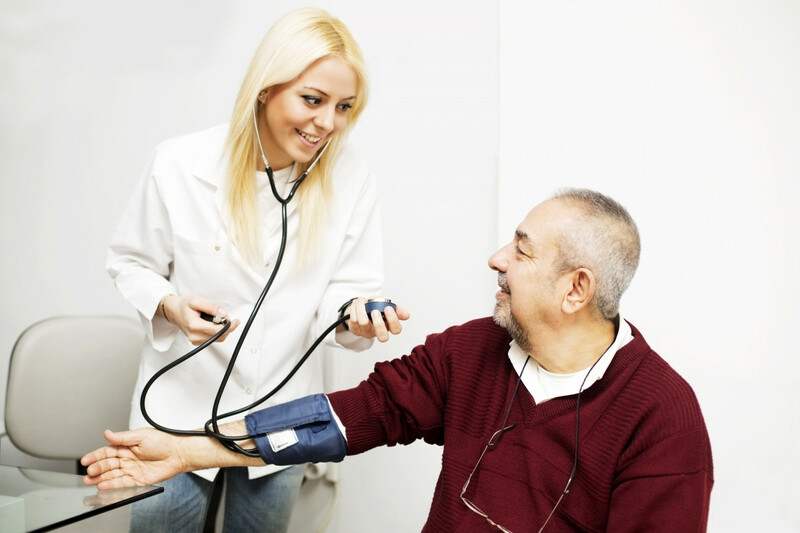 Regular on-site health checks can help manage and detect conditions that develop with age. Health checks show you care about your aging workforce and they make sure your aging employees don’t get burnt out physically or mentally. Providing ongoing and on-site health checks is an investment in the long-term mental health and wellbeing of your employees. 6% of Australian workers’ compensation claims are for work-related mental health conditions. A health check may be able to detect mental illness before it becomes unmanageable or unbearable for your employee. In a strictly monetary sense, undiagnosed mental illness can cost Australian businesses almost $11 billion a year. Providing employees with the resources to find the help they need safeguards the financial security of your company and increases productivity. You can reduce long-term staff absences by running regular employee health checks. Long-term absences are tough on everyone in the workplace. Employers pay for the absence not only financially but in team morale as well. An absent employee can fall behind and miss out on opportunities, and their teammates taking on their workload can cause excess stress and tension. 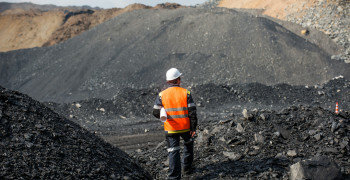 Work injuries and disease cost the Australian economy $61.8 billion annually. Health concerns detected early on are less expensive and much easier to manage. If you can catch an illness or pain point before it develops, you can manage it better and, in some cases, even reverse it. Regular health checks help your employees stay on top of their own healthcare needs. Social responsibility and general human kindness are a good look for any brand. By showing the world you care about the health and wellbeing of your employees, you demonstrate that you’re more than a money hungry corporation. People want to support businesses that support their own people. And what’s more, people want to work for brands that go above and beyond to support their workforce. Providing health checks for your employees can reduce turnover. Gallup says: “The cost of replacing an individual employee can range from one-half to two times the employee's annual salary.” That means a worker making $50,000 a year could cost a company up to $100,000 to replace. When turnover doesn’t come cheap, anything you can do to retain your employees is well worth the investment. People want to feel important in the work that they do. Employee health checks help demonstrate the personal investment you have in each of your employees. You get what you pay for is very true when it comes to employees. The huge expense of workplace injuries and illness on workers, businesses, and the economy make employee health checks a no brainer. 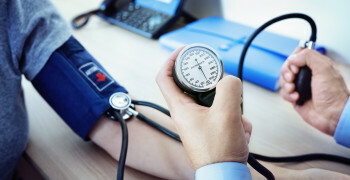 The monetary benefits of employee health checks span every benefit listed above and more. Regular on-site health checks also reduce WorkCover claims and insurance costs. Invest in the health of your workforce on an ongoing, preventative basis to manage health problems before they get out of hand and costly. Improving Workplace Health: What Else Can You Do? As an employer, you can only encourage a healthy lifestyle. You can’t force your employees to eat healthy or get regular exercise outside of work, but there is still a lot you can do to support them inside the workplace. People love free food, but rather than offering a pizza day, keep healthy snacks available throughout the workday. They will satisfy your employees’ craving for free food but won’t hamper their focus like other crunchy snacks and candy. Try a fruit bowl in the common area. Fruits like bananas, oranges, apples—and others that stay fresh for long periods of time—are perfect. Proper fitness is essential to a person’s wellbeing. A lack of exercise impairs physical health, which can lead to heart disease, diabetes, obesity, as well as mental health problems. If someone isn’t getting regular exercise, it can result in health concerns that can lead to extended absences or worse. Support physical fitness in your workplace by rewarding healthy physical habits. You can suggest and encourage standing meetings, walking meetings, and taking the stairs instead of the elevator. There’s a lot you can do around your workplace to promote wellness. For instance, investing in standing desks can lower the risk of weight gain, heart disease, and diabetes. Plants in workspaces have been linked to cleaner air, reduced stress, reduced noise levels, and increased productivity. Workforce Health Assessors offer a range of workplace and corporate health services to optimise the health and wellbeing of your employees. 💡 Learn more in our Top 10 Ways to Create a Safe and Healthy Workforce. Workforce Health Assessors can support businesses in running ongoing employee health checks. WHA organises, performs, and reports on health assessments and medicals to help businesses mitigate risks and improve wellbeing in the workplace. We handle everything from pre-employment medicals, hearing assessments, to drug and alcohol screenings. Learn more about our employee health checks and other health assessment services. Are You Unaware Of Hearing Loss In The Workplace? 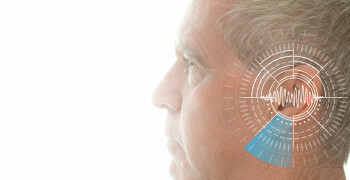 Approximately 3.55 million adults in Australia suffer hearing loss to some degree. Gallup reports that 71% of workers in Australia and New Zealand are not engaged, and another 15% are actively disengaged. Learn how you can boost productivity and Increase Motivation in the Workplace.